Price: £8.70 per session. Childcare vouchers are also accepted. A fun, home-from-home club for children with a wide range of toys, access to computers, crafts, cookery, games, a quiet area for reading and completing homework, and, weather permitting, outside play. A drink and snack, eg toast, crumpets, fruit, are provided. 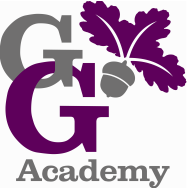 Stay & Play comes under the management of George Grenville Academy. Parents are asked to complete a booking form each month, if they are aware of their childcare requirements, to ensure the staff/child ratio is correct. Bookings may be made at short notice by contacting the school office or emailing. Payment for sessions attended will be paid for in arrears with invoices being issued at the end of each month. You do not have to use the club on a regular basis to register. If childcare is only needed occasionally then complete a registration form and use the club when required.